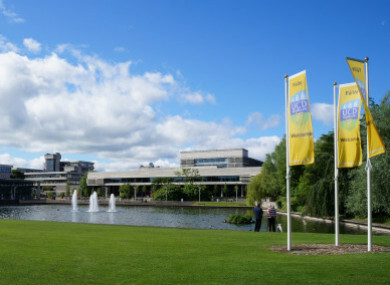 UCD WILL ADMIT students who secure Leaving Certificate upgrades this week to courses that have places still available. Speaking on Morning Ireland on RTÉ Radio, Deputy Registrar Barbara Dooley said that approximately 60 students are expected to receive results upgrades. Following the Rebecca Carter ruling at the High Court, the university has made the decision on an “exceptional basis” and will allow students to take up places this year, waiving its 30 September deadline. Carter (18) lost out on a place at UCD after her results were wrongly totted up. While approximately 60 students will be accepted to UCD, not all will be able to start this year but will be offered a deferral to 2019, Dooley said. There are 34 places available in UCD courses for 2018 and those who receive upgrades will be contacted by UCD by the end of the week. Email “UCD will admit students who secure Leaving Cert upgrades”. Feedback on “UCD will admit students who secure Leaving Cert upgrades”.